LAST week, the founder of major United States pizza chain Papa Johns was forced to step down after he admitted using a shocking racial slur during a conference call. 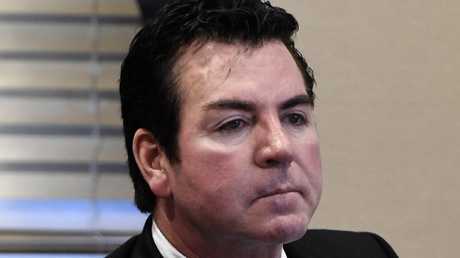 It was revealed the fast food giant's founder, John Schnatter, had used the n-word in May during a role-playing training exercise. The word was uttered when Mr Schnatter claimed KFC founder Colonel Harland David Sanders has used the same term without sparking outrage in the past. "Colonel Sanders called blacks n*****s," he said on the call, and in an interview following the fallout, he again said he was "just talking the way the colonel talked". But now, Colonel Sanders' relatives have come out swinging. Grandson Trigg Adams told the Louisville Courier Journal claims his grandfather had ever said the highly offensive word were "an absolute lie". He slammed Mr Schnatter for damaging his relative's reputation. "He's a weasel," Mr Adams said. "Because he's prejudiced, he's trying to say somebody else was, too." Mr Adams insisted his famous grandfather had "absolutely no prejudice against anybody". "He loved anyone who he felt was kind and good and faithful," he said. USA Today also reported that Colonel Sanders' great-granddaughter Cindy Wurster Sjorgen had also rushed to his defence. She said in a statement her great-grandfather "was known to throw around a few cuss words but never a racial slur". "For Mr Schnatter to use the colonel as a scapegoat for his own horrible, disgusting mouth and racist beliefs is inexcusable," she said. 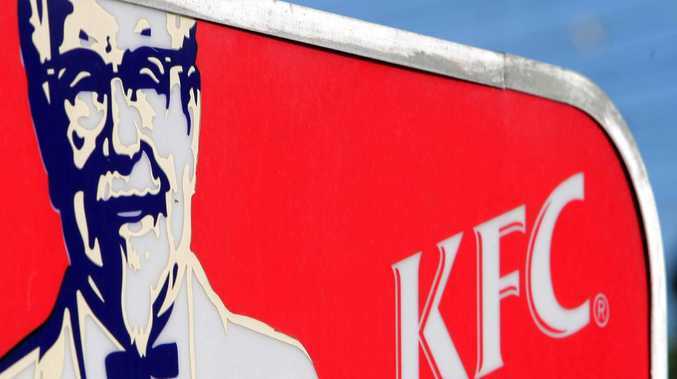 However, rumours of Colonel Sanders' alleged racism have persisted for years, including claims he had donated money to the KKK during his lifetime. That rumour has been proved false, although in the 1960s he did donate to Alabama governor George Wallace Jr - a man known for his pro-segregation beliefs. But Mr Adams said his conservative grandfather probably supported the governor for other reasons, and not because of his race stance. 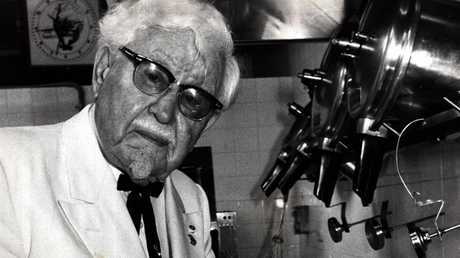 Colonel Harland David Sanders’ relatives have rushed to his defence. Picture: Gary Graham. "There was no racism in him," USA Today reported Mr Adams as saying. "To him, all people were equally children of God." Mr Adams said the colonel had donated millions of dollars to various charities during his life - including to a number of black churches, which he was known to occasionally attend. He said the KFC boss had also hired many black workers over the years and was always known to treat them all fairly. Mr Schnatter later apologised for using the term.